The midsize family sedan class is full of fierce competition, but no sedan stands out quite like the 2017 Volkswagen Passat. The 2017 Passat comes in four trim levels drivers can choose from: S, R-Line, SE and SEL Premium. Each trim level offers best-in-class legroom, abundant safety and technology features, a quiet cabin and a quick acceleration. All trims come standard with a 1.8-liter inline-4 engine that produces 170 horsepower and 184 pound-feet of torque. If you’re looking for more power, the SE trim also has an available 3.6-liter V6 engine that produces an impressive 280 horsepower and 258 pound-feet of torque. Drivers will be able to choose from a variety of exterior colors for each trim level as well. 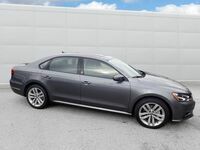 If safety is at the top of your priority lists, you’ll be pleased to learn that the 2017 Volkswagen Passat comes standard with great safety features like the Tire Pressure Monitoring System, Automatic Post-Collision Braking System, seven stability-enhancing systems and many, many more. Looking for technology features that’ll keep you and your family entertained? The 2017 Volkswagen Passat has you covered! Technology features include App-Connect®, Apple CarPlay, Android Auto, SiriusXM Satellite Radio and a Fender® Premium Audio System. 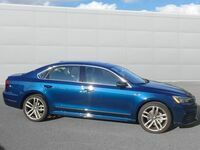 The 2017 Volkswagen Passat comes available with some great driver assistance features designed to keep drivers and passengers as safe as possible. Some of these safety systems include Front Assist, Blind Spot Monitor, Rear Traffic Alert, Lane Assist, Park Assist, Adaptive Cruise Control and Park Pilot. One of the best ways to see if a vehicle is a good fit for you is to take it out for a test spin. If you’re ready to set up an obligation-free test drive, come see us at Dirito Brothers Walnut Creek Volkswagen. Drivers interested in learning more about the 2017 Volkswagen Passat are encouraged to contact our sales team directly.